Teaching is changing. It is no longer simply about passing on knowledge to the next generation. Teachers in the twenty-first century, in all educational sectors, have to cope with an ever-changing cultural and technological environment. Teaching is now a design science. Like other design professionals – architects, engineers, programmers – teachers have to work out creative and evidence-based ways of improving what they do. Yet teaching is not treated as a design profession. Every day, teachers design and test new ways of teaching, using learning technology to help their students. Sadly, their discoveries often remain local. By representing and communicating their best ideas as structured pedagogical patterns, teachers could develop this vital professional knowledge collectively. Teacher professional development has not embedded in the teacher’s everyday role the idea that they could discover something worth communicating to other teachers, or build on each others’ ideas. Could the culture change? 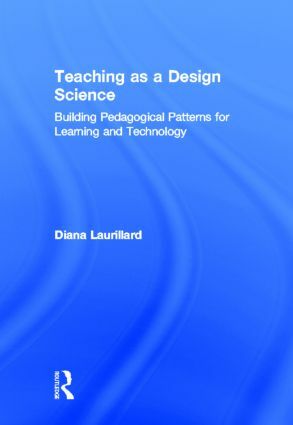 From this unique perspective on the nature of teaching, Diana Laurillard argues that a twenty-first century education system needs teachers who work collaboratively to design effective and innovative teaching. Diana Laurillard is Professor of Learning with Digital Technologies at the London Knowledge Lab, Institute of Education, leading current research on developing a learning design support environment for teachers, and software for learners with low numeracy. She was previously Head of the e-Learning Strategy Unit at the Department for Education and Skills. She has also served as Pro-Vice-Chancellor for learning technologies and teaching at The Open University, and on the Visiting Committee on IT at Harvard University. She is currently on the Boards of the Observatory for Borderless HE, the UNESCO Institute for Information Technology in Education, the e-Learning Foundation, and the Council for FernUniversität in Hagen.